I like to think of these as cut-out cookies for adults. 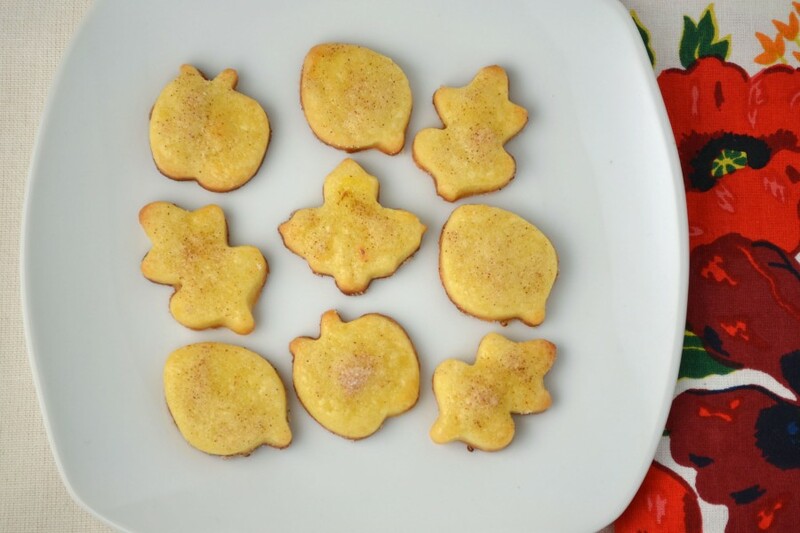 They can be for kids too (perhaps the cookie shapes seem more childlike) but the buttery flavor is what differentiates these from those regular sugar cookies, often topped with bright colored sprinkles. It’s also the hardboiled egg yolks that bring out the richness in these sweet bites. My grandmother used this technique in many of her recipes for cookies and tarts. It may sound odd at first, to push a hardboiled egg through a sieve, but it adds a depth of flavor to the dough that is unlike anything else. This recipe was originally brought to my attention by a reader who previously owned my grandmothers book, “The Art of Fine Baking.” Hidden in the cookie section, I had scanned over this recipe a number of times but wasn’t particularly inspired to try it. I’m glad I finally did. It is a versatile recipe that is so simple and basic, it can be used for a number of different occasions. The shapes of the cookies can vary from cutout stars and crescents, to Holiday specific ones such as witch’s hats for Halloween or gingerbread boys for Christmas. I chose these cute little fall shapes because they seemed appropriate for the chilly autumn weather and falling leaves. The toppings are also up to you. My grandmother recommends cinnamon sugar or poppy seeds. I will eat cinnamon sugar on almost anything so this was a natural choice for me but poppy seeds, chopped nuts, or even those different colored sprinkles (if making them with kids) would be tasty as well. 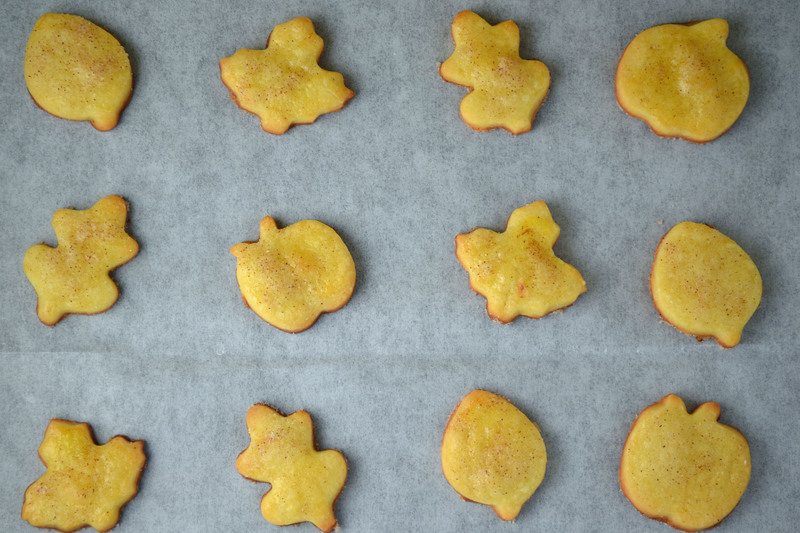 You will be surprised how something as simple as little butter cookie cut-outs will disappear so quickly from the kitchen counter (especially if you accidentally toss half of them on the floor like I did – oops). Good thing it’s a large recipe! Cream butter and sugar. Stir in sieved hardboiled egg yolks, vanilla, and then flour mixed with salt. Chill dough for 1 hour. Preheat oven to 350 degrees and lightly grease or line a baking sheet with parchment paper. Flour counter top or work surface. Roll out cookie dough 1/4 inch thick. Cut cookies with cookie cutters into small crescents, stars, or other shapes. Transfer to a cookie sheet, leaving about an inch between cookies. Brush with beaten egg and milk mixture. Sprinkle with toppings of your choice. Bake about 8-10 minutes or until cookies are lightly browned.